Last month, President Obama signed the U.S. Commercial Space Launch Competitiveness Act (“Space Competitiveness Act”). Among its provisions was the following: “A United States citizen engaged in commercial recovery of an asteroid resource or a space resource under this chapter shall be entitled to any asteroid resource or space resource obtained, including to possess, own, transport, use, and sell the asteroid resource or space resource obtained.” Several American companies are already advancing asteroid mining programs, and the new law assures investors that they can own whatever they manage to retrieve. Perhaps the closest analogy to pursuing asteroids was laying claim to uninhabited guano islands during the 19th century. Guano was a valuable resource utilized in gunpowder and agricultural fertilizer, with the United States alone importing upwards of 750,000 tons a year. The source of guano was usually sea birds, and they often resided on remote islands that had never been seen by humans, much less inhabited. Such islands were terra nullius, or “no man’s land.” Going back as far as Roman law, there was a tradition that occupation of no man’s land established sovereignty. Capitalists in America took this a step further in 1856 with the passage of the Guano Islands Act. It provided that the “discoverer, or his assigns, being citizens of the United States, may be allowed, at the pleasure of Congress, the exclusive right of occupying such island, rocks, or keys, for the purpose of obtaining guano, and of selling and delivering the same. . . .” The incentive created by the Guano Islands Act resulted in more than 100 islands being acquired by American entrepreneurs. As recently as 1964, Ernest Hemingway’s brother claimed a Caribbean Island pursuant to its provisions, only to be thwarted by a tropical storm. The principal difference between the two legal regimes is the question of national sovereignty. Whereas Guano islands discovered by Americans became (either temporarily or permanently) part of the United States, the 1967 Outer Space Treaty provided that celestial bodies are “not subject to national appropriation by claim of sovereignty, by means of use or occupation, or by any other means.” The Space Competitiveness Act confirms the treaty when it states “[i]t is the sense of Congress that by the enactment of this Act, the United States does not thereby assert sovereignty or sovereign or exclusive rights or jurisdiction over, or the ownership of, any celestial body.” The practical result is that the Space Competitiveness Act paves the way for purely private mining, not, for example, American space territories. What minerals are American companies likely to pursue in space? Planetary Resources, Inc. (investors include the Google founders) is looking to convert asteroid ice into liquid oxygen and hydrogen for rocket fuel, essentially becoming a sort of space gas station. Other companies are pursuing more typical mining (and return to Earth) of rare minerals, such as platinum, gold, and iridium. It may all sound far-fetched, but “[i]f you go back a few hundred years, what we take for granted today would seem like magic – being able to talk to people over long distances, to transmit images, flying” (Elon Musk). The Space Competitiveness Act harnesses the same fundamental human drive that led to prior innovation and exploration – by establishing property rights that incentivize wealth creation. 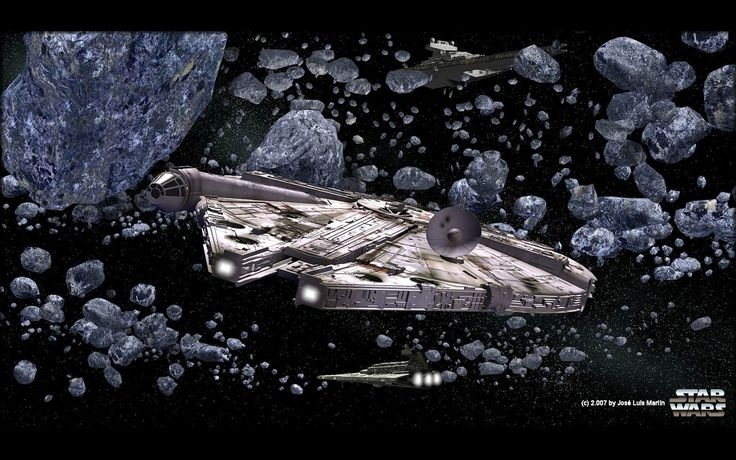 Perhaps the next generation will see American versions of Han Solo wildcatting through the asteroid belt.